ASA/UKCC Level 1 Coaching Swimming, This qualification is aimed at those interested in supporting the coaching programme in a competitive environment. The holder of the Level 1 Award for Coaching Swimming is able to actively support a more senior qualified / licensed coach at any level, in the delivery of a pre-prepared session. This person will be expected to have an understanding of the sport and a basic understanding of appropriate corrections to common faults. This qualification is recognised as a UKCC Level 1 and is on the Qualifications Credit Framework (QCF) at Level 1. In order to achieve the qualification candidates must achieve Units 101 - 107. Learners must have turned 16 years of age before or on the final day of the qualification. Therefore, to be awarded the qualification learners must be 16 years of age. 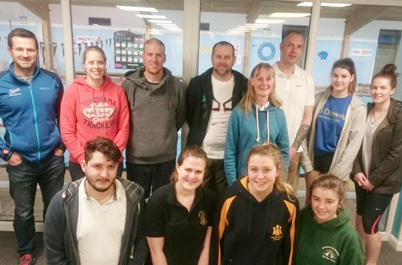 The ASA UKCC Level 1 Award in Coaching Swimming comprises of seven (7) units. Units 101 – 104 are common units which are generic across all Level 1 Aquatic Awards, Units 105 – 107 are more focused on the technical aspects of the discipline and its delivery, therefore Units 105 – 107 for this qualification are focused on the technical application of coaching swimming. In order to be eligible for certification of the ASA UKCC Level 1 Award in Coaching Swimming qualification all units must be successfully achieved. In order to achieve a unit all assessment criteria must be achieved.